Welcome to PCA&D, Class of 2020. 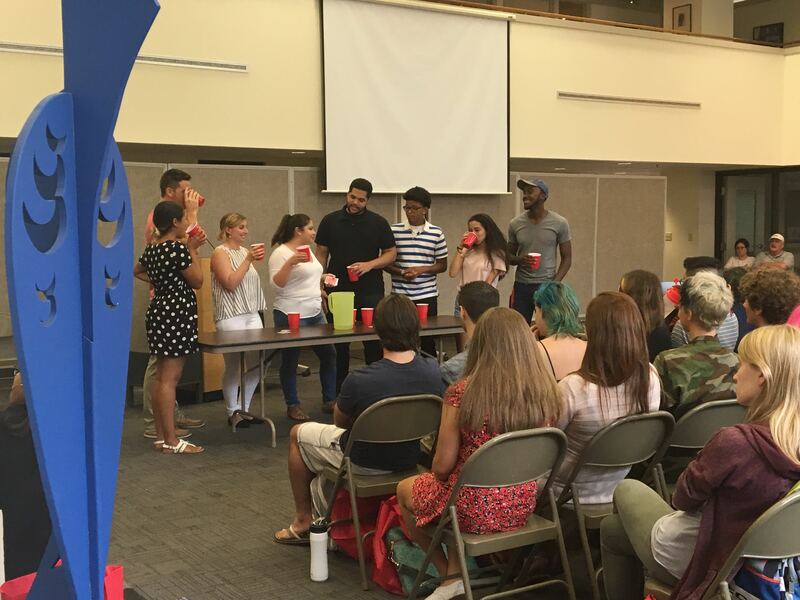 Orientation was held Sept 1 and 2 for the 92 new PCA&D students who were introduced to campus leadership, faculty and staff, offered tips for success in and outside the classroom and studio, welcomed to Lancaster City and enjoyed fun activities. 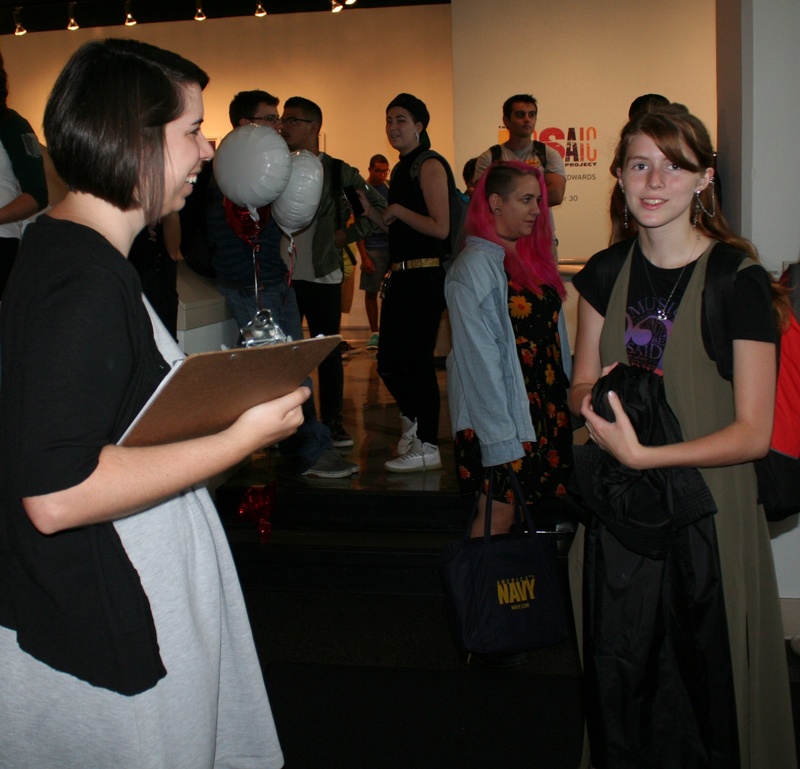 To begin the two-day program, PCA&D President Mary Colleen Heil welcomed these new art students to the College and assured them that people around Lancaster love PCA&D's students. Academic Dean Marc Torick encouraged the student to be genuine, saying he'd rather they experience a grand failure than a safe success. The Orientation program covered a diverse agenda including a panel discussion of upper-class students talking about their own PCA&D experience. 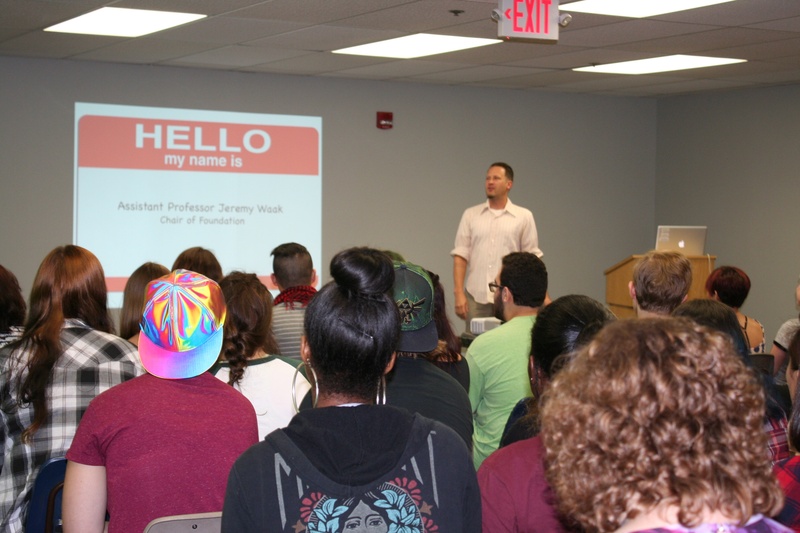 In addition, the students attended presentations on Financial Literacy, by Amanda Scheler, AVP Campus Relations Manager, PNC Bank; Creating a Welcoming Environment, by Nick Miron, Director of Social Justice and Advocacy, Lancaster YWCA; Diversity Awareness Program, by Justin L Brown, West Chester University of Pennsylvania; drugs and alcohol, presented by Bevan Allen, COO, Compass Mark, and Lancaster City, by Shelby Nauman, Lancaster City Alliance and Annie Weeks, Lancaster Office of Promotion. In addition, Scream Theater from Rutgers University presented thought-provoking concepts about sexual violence and assault to PCA&D students. 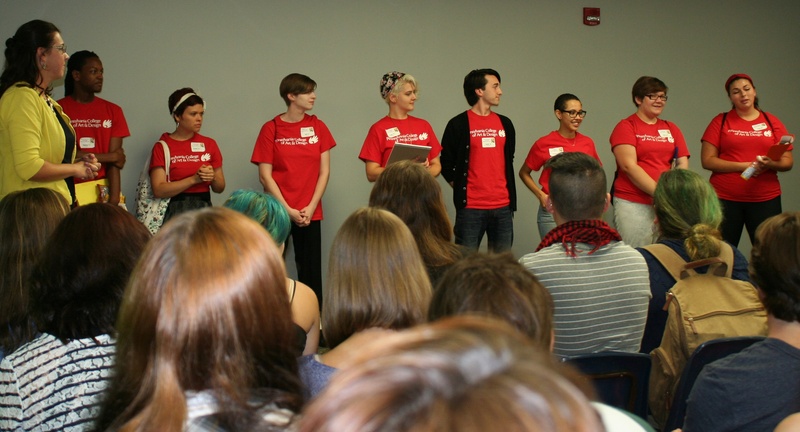 This acclaimed 25-yr old theatre troupe uses improv theatre to tackle challenging topics to start a conversation and give students the tools they need for the prevention of sexual assault and tools to be an effective bystander. Federal law requires colleges to adopt training and other activities to reduce and respond to sexual violence, assault and harassment on campuses. Other highlights of the event were presentations on Safety in Lancaster was the topic of discussion with Sgt Bill Hickey, Lancaster City Police, David Aichele, Director of Clean and Safe Services, Lancaster City Alliance, Dan Freiler, PCA&D Director of Physical Plant, and Dean Jessica Edonick. 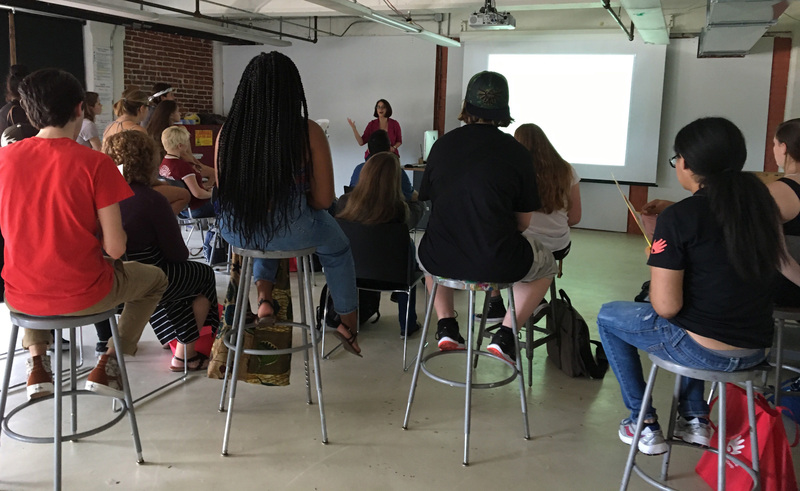 The students also got to experience a tour of downtown Lancaster, Mock Classroom presentation by the PCA&D faculty, and an introduction to the PCA&D Gallery by Marnie Benny, Gallery Director. 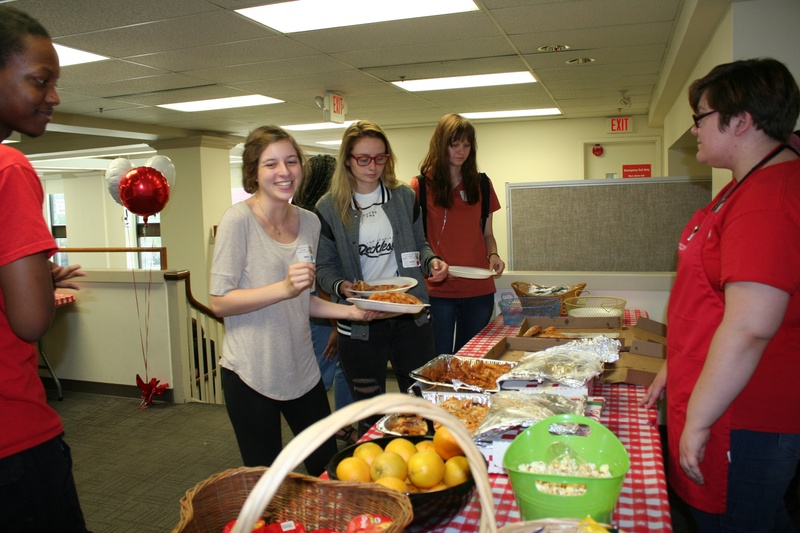 The event was sponsored by House of Pizza,Canteen Vending Services, Distinctive Affairs Catering, Simply from Scratch, LaPiazza, and Stoner Inc. Breakfasts and lunches were provided by Canteen Vending Services, Distinctive Affairs Catering, Simply from Scratch and LaPiazza,. 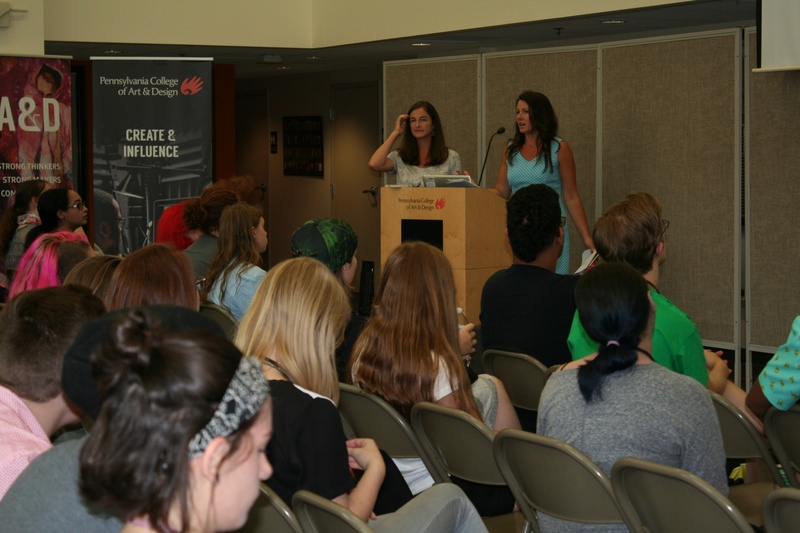 Shelby Naubman, Lancaster City Alliance and Annie Weeks, Lancaster Office of Promotion, welcome the students to Lancaster City. Christy Hess, Illustration Department Chair, presents classroom expections and tips during the "Mock Classroom." 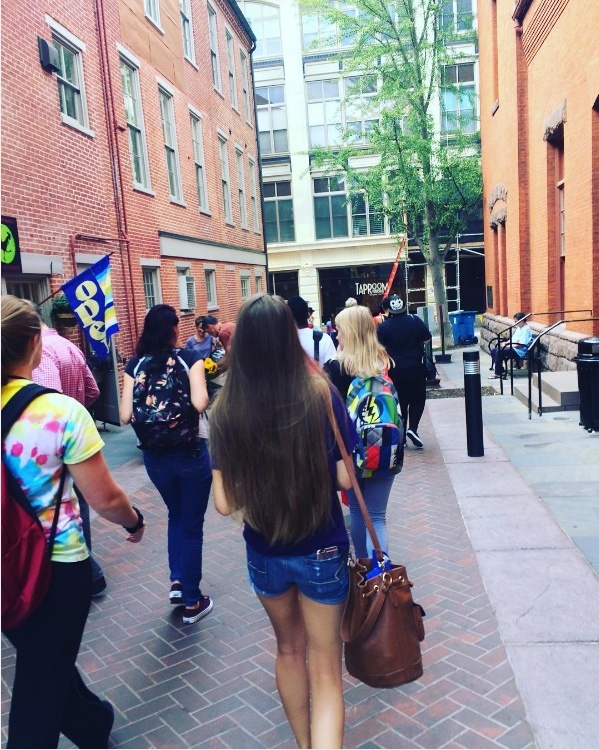 Student Ambassadors lead the Foundation Students of a Walking Tour of Lancaster City. Justin L Brown, of West Chester University's Diversity Awareness Program, led the students in a Rock Paper String tournament and took a selfie of a group hug, while presenting concepts of diversity and inclusion. 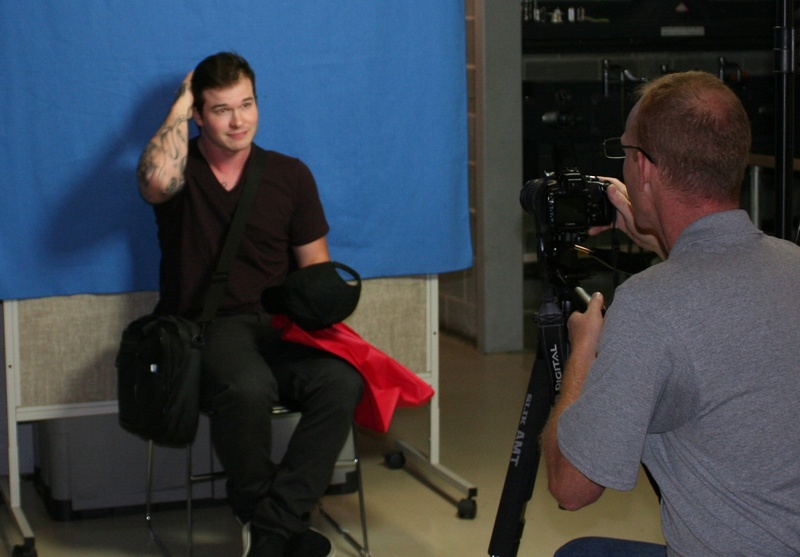 Classes begin at PCA&D today, September 6.